At first glance people ask what is that lava? 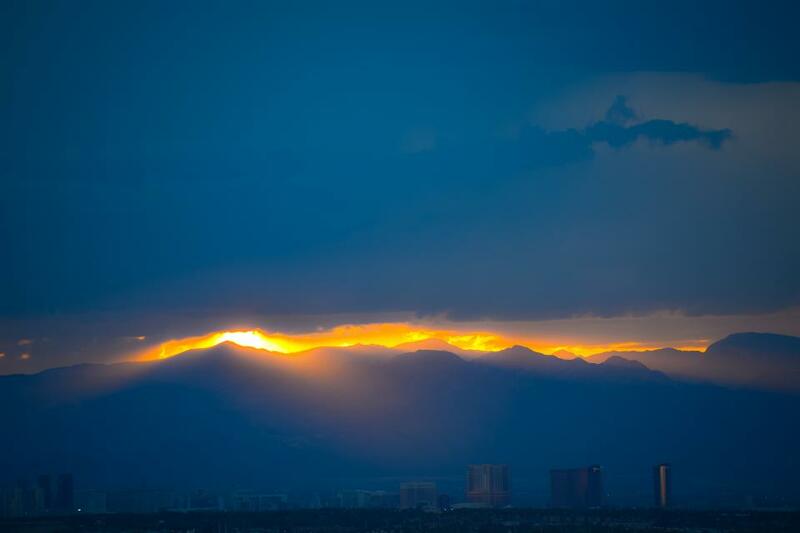 This was a thunderstorm at sunset over the Las Vegas Strip. It was taken with a Nikon D600 1/200 sec @ f 5.3 220 mm, iso 110. I was actually waiting for the moon to rise in the other direction as it was the night of the blood moon 8/10/2014. I was pleasantly surprised with many excellent pictures of the sunset/storm, the Strip and the moon!